The Sept. 11th Terry Applebee charter which initially went out for bass, ended up catching 6 big slobs on that particular day. The biggest bass, caught by Terry Applebee, weighed in at 6 pounds! Another one weighed in at over 4 pounds with the remaining 4 bass were not far behind on the scales. 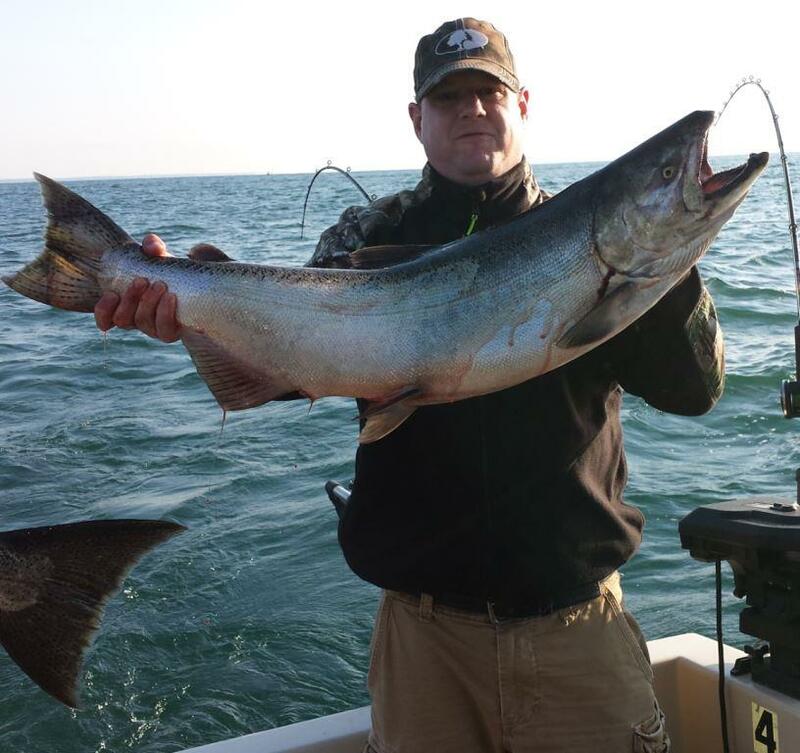 The fishermen consisting of Terry, Tony, Dale and Shawn wanted to try fishing for Kings also and a nice big King was landed to make their effort worthwhile!